← Why Is Communication in Marriage so Hard? 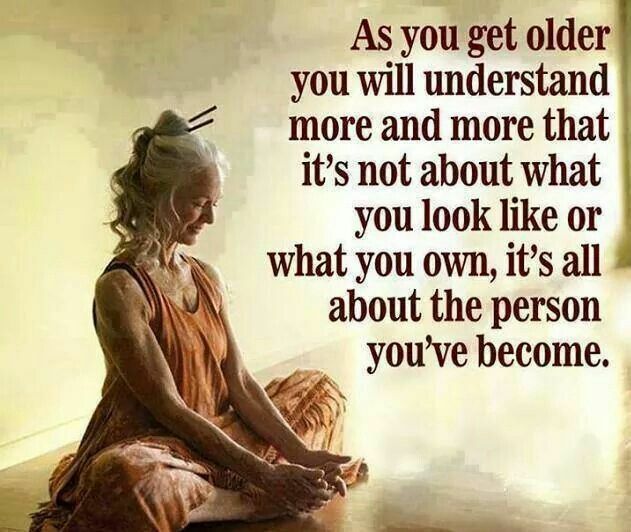 There’s something about the aging process that seems to bring out the very negative in many people. And it’s not without reason that many older folks feel negative. The bloom of youth is gone and never to return; health is tenuous and our bodies cease to function optimally; the regrets of all the things you didn’t get to do when you could’ve; the regrets of all the things you didn’t have; the sadness of losing friends, family, spouses; the disappointment in offspring; the general sadness of life and in the world. And of course, the loneliness. Each time hubby and I have to deal with our sole surviving parents, we are presented with this reality. 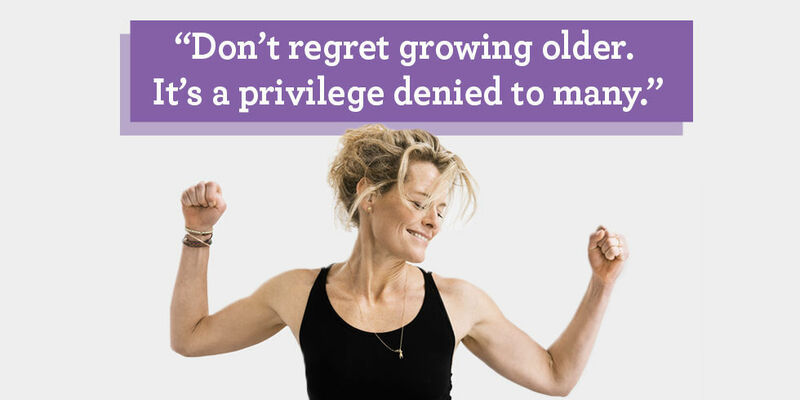 Aging often is not a pleasant or fun prospect. Along with it, there are so many things we can regret later in life. The key is to take a lesson and to the extent possible, avoid having so many regrets. I’m always so inspired by positive people, and especially those who have endured great sadness and loss. They don’t allow the circumstances of life steal their joy. I know that I want to be like that. Another characteristic I see with negative and sad people is lack of forgiveness: towards others; towards the hand dealt you in life; towards God. Inability to forgive is indeed a poison. I grew up with a Dad who worked hard, took life seriously, and didn’t seem to have a lot of fun. He was often critical and grumpy, prone to a mean temper and regrettable actions/words. The fruit of the spirit (love, joy, peace, patience, kindness, goodness, faithfulness, gentleness and self-control) were mostly absent from his personality. Forgiveness especially did not come easily for him. Self-care and relaxation were viewed as selfish. Even when he was attempting recreation like golf or fishing, there always were problems or anxieties involved in these happy pursuits. There wasn’t a sense of relaxation. I often recall how angry he’d be over a golf game and wonder why he even wanted to play. When the time came for me to play golf, I recall thinking that while this can be a challenging and humbling sport, it usually involved incredibly beautiful outdoor scenery, and good company. It never truly bothered me that I could rarely par a hole or that my handicap was huge. Dad set high standards for himself and others, and he often struggled to forgive or extend patience and grace. Mother-in-law thrives on negativity and controversy. It’s amplified now that she’s in a senior living facility, and especially since her husband of 50+ years passed, but it was always there for as long as I’ve known her. While she was the best mom and grandmom she knew how to be, and had many fine qualities, kind words are few and far between for her. Regrets and grudges are many. She will tell you stories of hardships growing up; she will tell you of people (including close family) for whom she still bears bitter animosity. She will tell you of the horrible “old ladies” (she’s in her 90s) who flirt with the few older men, sit in “her spot” in the dining room, or who don’t share her passions for football. She bears grudges. She complains a lot. She argues her political views without any thought that there could be another point of view. When we visit, rather than feeling happy, she uses the opportunity to complain even more bitterly. She is one of the most mobile and self-sufficient 92 year olds I know; she has few health issues; she lives in a nice place where all her needs are provided, including social. She is blessed with two wonderful and caring children who make sure she’s well cared for; 5 happy, accomplished and successful grandchildren who keep in close touch; and 2 great-grandchildren. Her son is patient and kind, but it even wears at his good nature to face her complaints and negativity. One thing we notice about both of our elderly parents is that they do very little in service for others, or even to take notice of the needs of others. What a lonely existence to be concerned only with yourself! I get that it takes effort to get your aching old joints up out of bed in the morning, and go off to do something that may have no direct benefit to you. 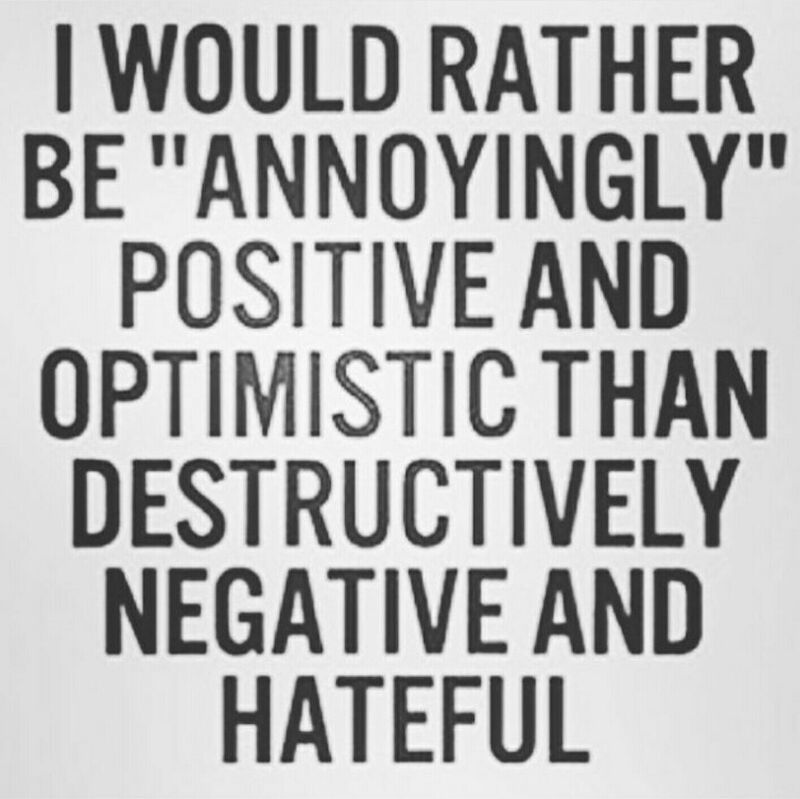 It is much easier to dwell on your problems and the negatives, but oh so much more destructive. I personally acknowledge that over my life time (and every now and then) I’ve bought into the belief that to “matter,” to seem important, I had to have a huge problem or problems in my life. For some reason I didn’t feel vital unless I was battling something or someone. And of course, I had to believe that MY problems where far worse than anyone else’s. Whenever I’m in full pursuit of my true purpose on earth (to love God), I am happier. Problems don’t matter as much. I more clearly see the many, many blessings I have. I can more clearly see how the negatives of my past were either used by God in a positive way; or perhaps were important in testing me and refining me to become a better person. No discipline is pleasant at the time, but painful. Later on, however, it produces a harvest of righteousness and peace for those who have been trained by it. I ask myself today, and I encourage you to ask it of yourself, how are you living the privilege of your life, being used for a mighty purpose, with little concern for how you “deserve” to be made happy? This is a question I need to ask daily. This entry was posted in On Being Imperfect Me, On Life in General and tagged Aging, aging parents, bitter, choosing happiness, choosing to be positive, George Bernard Shaw, getting older, Gratitude, happiness, Life, Living fully, living positively, negativity, problems. Bookmark the permalink. You are kind, and I am flattered and happy that I have something to say that matters to another. For anyone who regularly follows me as you do, it’s quite clear I’m often a hot mess, far from grasping the truth and the right way! But I am grateful when God opens my eyes and places lessons in my path. It’s now up to me to heed or ignore the lessons! Strength please, Holy Spirit!! Be blessed friend!